Fairfield town centre is deceptively large, with plenty of room for great little restaurants to hide in the side streets and arcades. 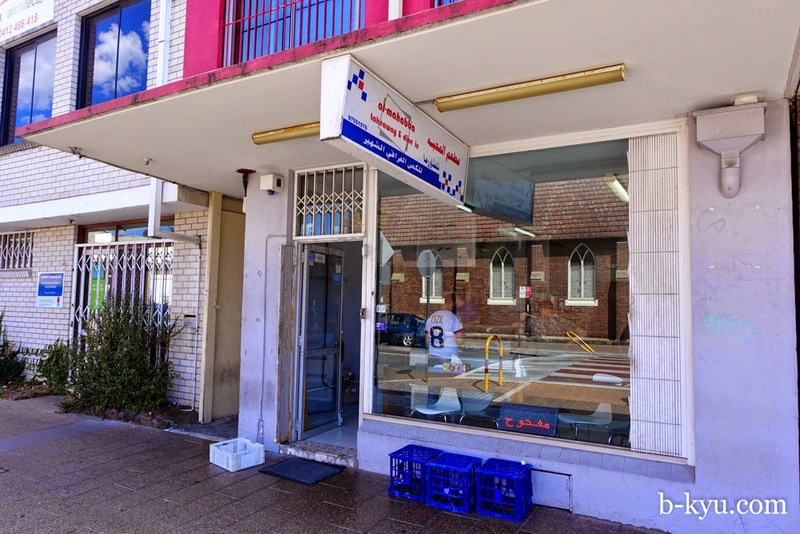 Sniff around and you might find a little gem like Al Mahabba Takeaway. 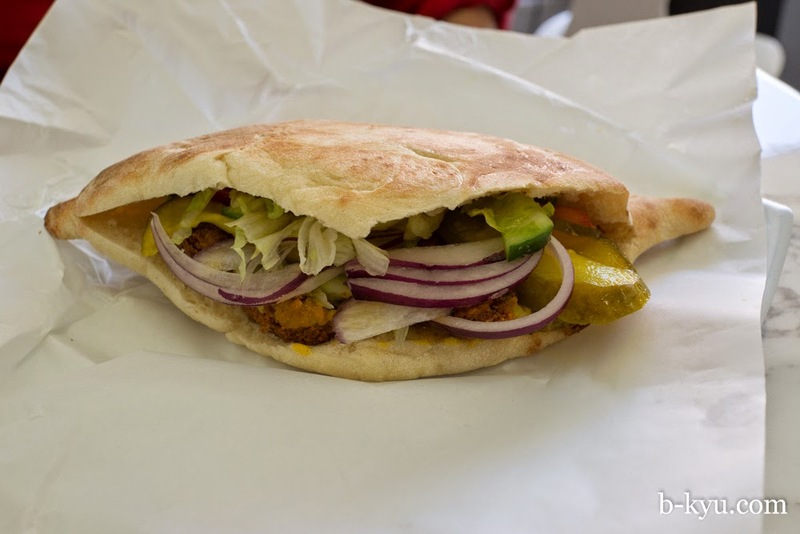 Everything about Al Mahabba looks just right to us: it's small and low key. Inside is basic but schmick and cheery. The bloke running the place is pretty friendly. 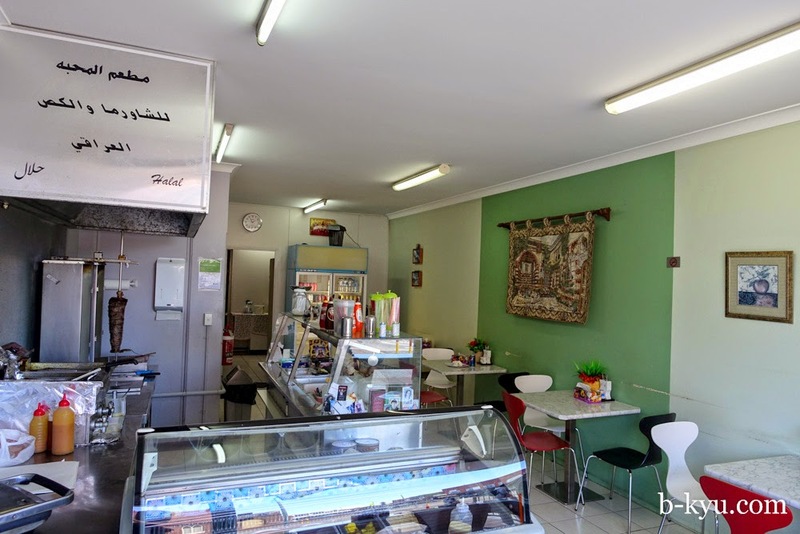 He tells us the shop has been here since 2007 and he is Christian Syrian Iraqi. 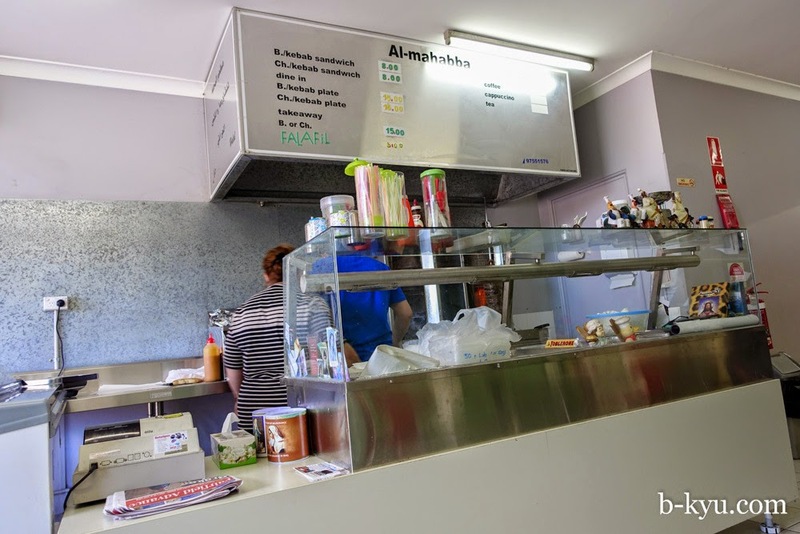 There are small icons and religious postcards tucked into corners above the doorway, at the counter and near the kitchen that show this faith. The menu is small which is always a good thing, it means what they do they do well. They do beef and chicken kebabs, on sandwich or plate. They also make fresh falafel. The chicken isn't on today so it's beef and falafel sandwiches for us. We are asked what fillings we want: "everything". And what sauce we want. For this question we've learnt to ask what they recommend, this makes folks happy and you get the best flavour. The boss recommends the house sauce which he says is amba, like a mango chutney. 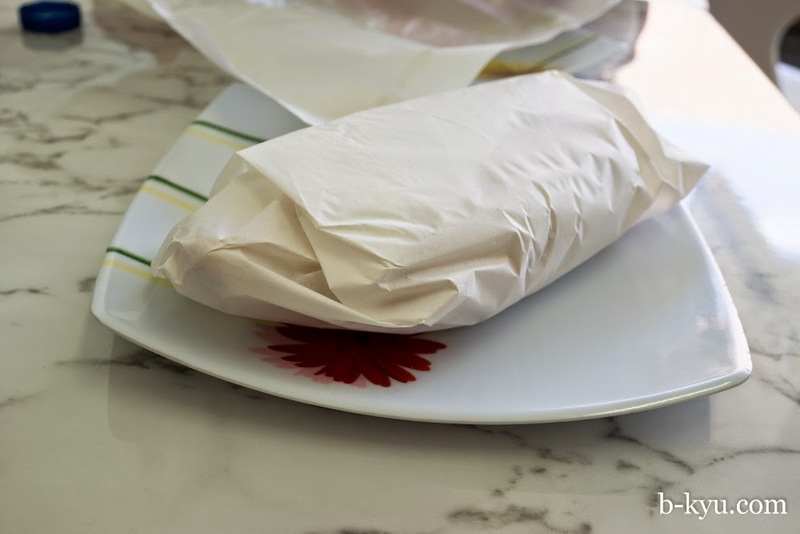 It's in a lovely soft bread pocket, filled with pickles and salad. 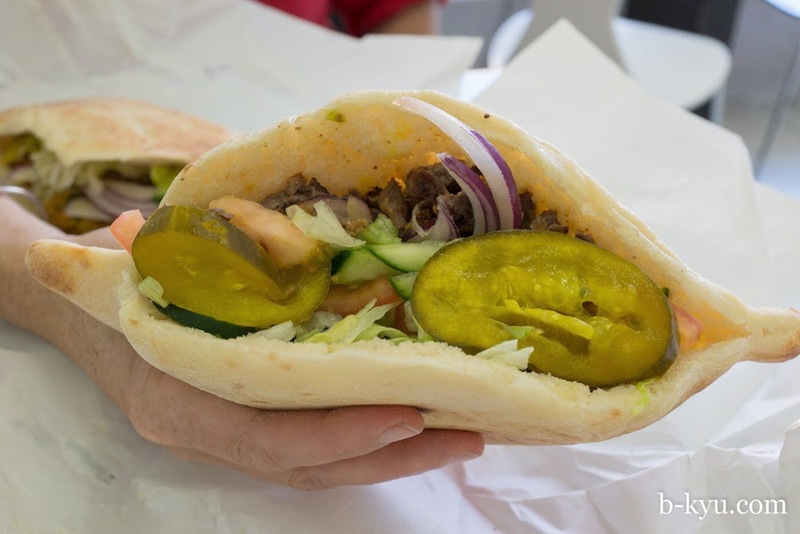 The falafels are sensational, these are made fresh to order by an awesome auntie, we assume it's the boss's mum. 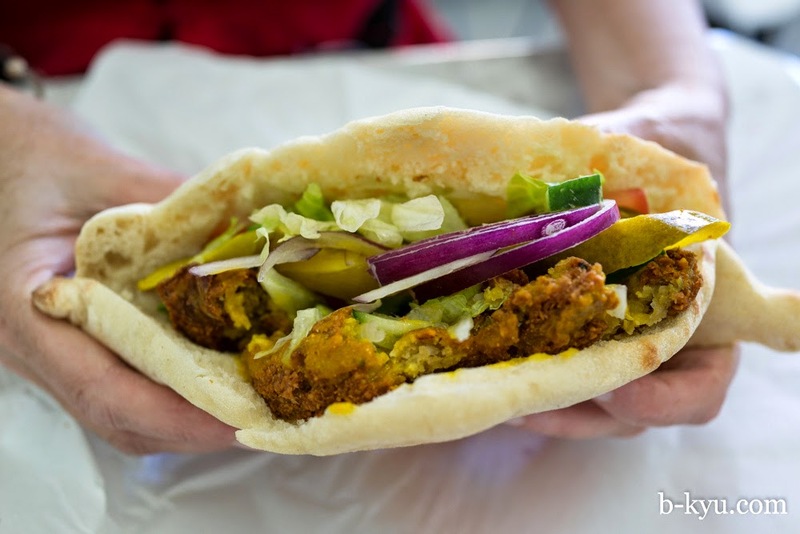 The falafels are lovely and soft and yellow in the middle with a light crisp crunch to the outer, not hard and green and brown as we more often see. The beef is also excellent, sweet and lightly spiced. The boss tells us the meat is sliced and marinated before being layered onto the giant skewer and constructed into a kebab. Highly recommended. 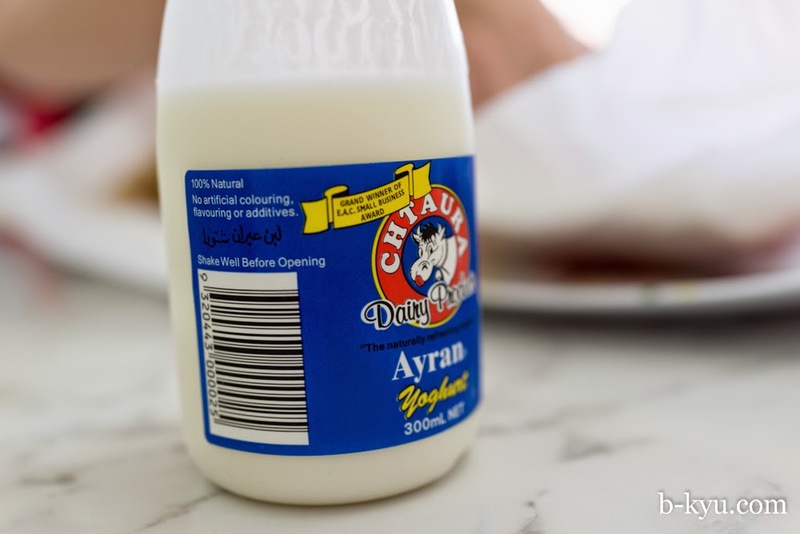 We can never resist ayran, the salty yoghurt drink is an excellent palate cleanser. The taste and texture grows on us more and more over the years. We skip away on food nerd sunshine. The food was delicious and healthy, and we love the sport of looking for places at random. 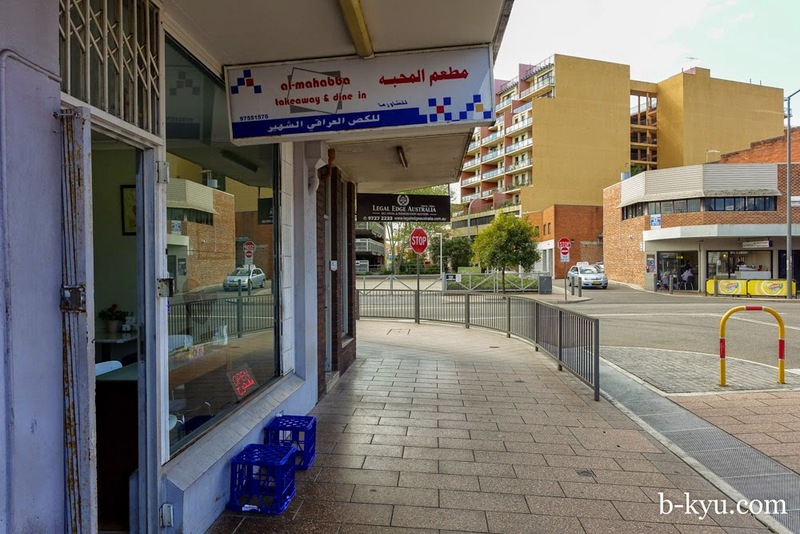 Al Mahabba is at 15 William Street, Fairfield, almost on the corner with Harris Street. On the way home, we see Mr KitKat J. Pussycat, the world's worst bird hunter. He meowed at the birds for five minutes before loudly announcing he was going to climb the tree and come get them. 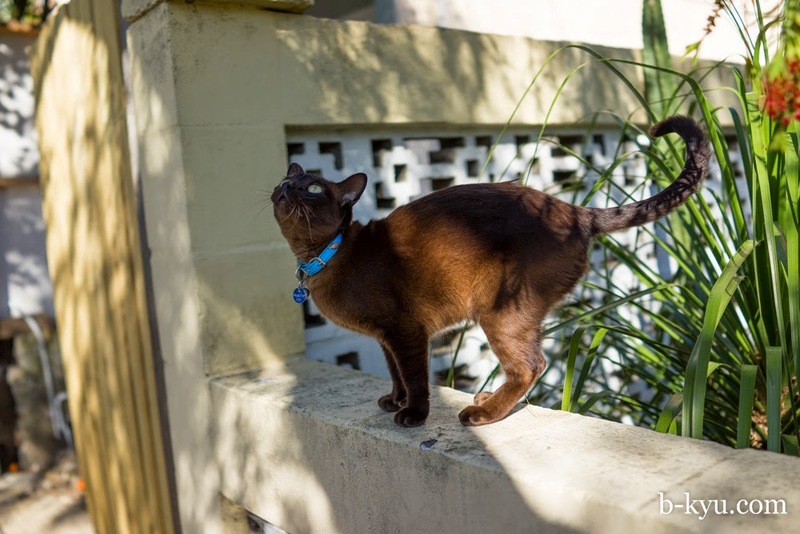 As KitKat the fearless jungle hunter leaps onto the tree, the birds do a casual sidestep onto a powerline, then sit there laughing at the brown buffoon below.